Help me decide what mattress to get for a side sleeper and a back sleeper who weigh 62 kg and 90 kg respectively? Thank you for your enquiry. With your given bodyweights we would pair both you and your wife with a medium spring tension to give you both the correct level of support. We would not recommend anything too firm in the upholstery layers for side sleepers as this can cause pressure pains in the shoulders, hips and knees. Likewise, we wouldn’t recommend anything too soft for sleeping on your back as this can cause the spine to misalign. In our Origins range, I would recommend the Origins Pocket 1500 which has a medium spring tension as standard and medium comfort layers. In our Artisan range, I would recommend either the Artisan Naturals or the Artisan Bespoke 004. 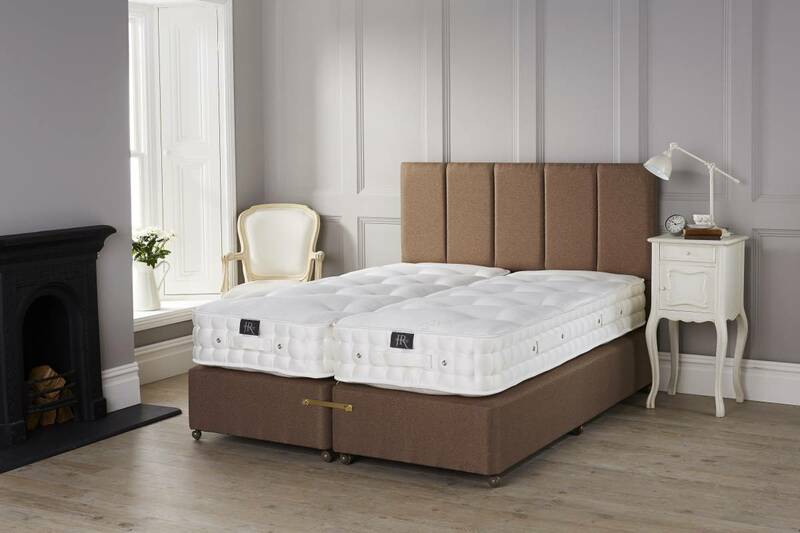 Both of these mattresses have a very similar medium feel in the upholstery and can have the tension of the calico pocket springs selected to suit your needs. The main difference is the Artisan Naturals is constructed with 85% natural fibres and the Artisan Bespoke 004 is constructed with 100% natural fibres. Motion disturbance is reduced with a pocket sprung mattress as each spring is in an individual pocket and not joined to each other. The best solution would be a zip and link mattress (two mattresses zipped together) on a platform base. These are available in king size and above. I hope this helps and if you would like any further information please do not hesitate to contact the office on 0161 437 4419.